Is the word “genocide” becoming a commodity on the market for political influence? On October 29th, the Montreal Institute for Genocide and Human Rights Studies (MIGS) and the Montreal Holocaust Memorial Center (MHMC) held an event titled Raoul Wallenberg: Lessons for humanity. A lengthy discussion of Wallenberg’s legacy, the event went a long way in showing how politically charged notions of genocide and mass atrocities remain today. While all panelists outwardly agreed on the importance of preventing genocide and holding accountable those responsible for perpetrating such mass atrocities, further analysis of the points raised can flesh out some holes in the discourse, identifying key areas of politicization which should be addressed in the future. His Excellency Mr. Sjörgen, the Ambassador of Sweden to Canada, talked of Raoul Wallenberg, a Swedish Jew responsible for saving up to 100 000 Hungarian Jews during the Holocaust. According to the Ambassador, the legacy of Wallenberg’s life is testament to the relevance of individual action and initiative. 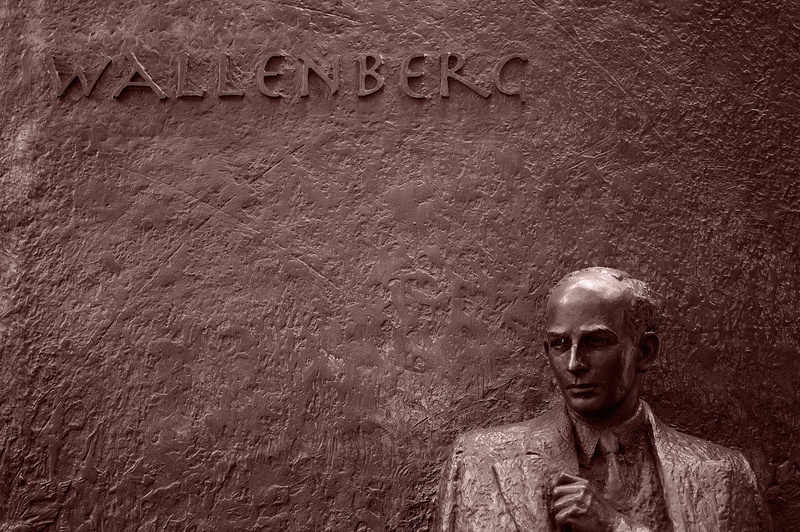 In other words, Wallenberg showed that one person is not necessarily doomed to oblivion lest a global movement follows. In fact, one person can change the stakes of a situation and even shift the course of history. This was also part of the Honorable Irwin Cotler, Member of Parliament for Mount-Royal’s opening remarks, which listed ten important lessons for humanity to be distilled from Wallenberg’s operations, one of which was the relevance of individual action and the fight we should entertain against the stigma that no one can do anything alone. Cameron Hudson, Director of the USHMM’s Center for the Prevention of Genocide, emphasized the importance of linkages between public and private agency. He used for this the example of the establishment of the War Refugee Board in 1944. According to him, the push for Roosevelt to implement the Board was individual action taken by the Secretary of the Treasury Mearsheimer and a few of his colleagues in bringing the issue to the attention of the President. As Hudson subsequently argued, this was a great instance of private agency spurring public action which resulted in hundreds of thousands of lives being saved. Both examples, that of Wallenberg’s life and Roosevelt’s administration, demonstrate the game-changing role that individual initiative can have in shifting the stakes of a situation. Specifically, in the case of the War Refugee Board, private agency was crucial in triggering a public reaction, allowing the response to reach the larger spheres. According to Hudson, it is the combination of private and public action that succeeded where either one was insufficient on its own. Unfortunately, it seems that most examples used nowadays to emphasize the importance of joining public and private agency are uni-directional. In other words, they confine private agency to the realm of raising awareness of an issue, while the responsibility to design and carry out programs to solve said issue is solely ascribed to the public sector. While this may have been an appropriate idealization of the mechanisms available at the time of the Holocaust or even the Rwandan genocide – the other mass atrocity mentioned at the event – how relevant is this simplification today? Given that international campaigns nowadays have the means to mobilize an incredible number of people in just a click of the mouse, should we keep restricting the centrality of private agency to the first steps of the struggle? Or rather, should we export it to the later stages, ones that involve implementing the potential solutions? This question is also very relevant considering that most of the funds for relief actions such as helping victims of genocide are now located in private coffers. A discourse on genocide outlining the role of private agency as truncated and time-sensitive can hence be dangerous. Rather, multi-directional approaches to linkage understanding should be advocated. Wallenberg’s actions set the stage for a notion that would later be accredited by the states, through the UN, in 2005: that of R2P. The three pillars that the UN outlines in the definition of R2P heavily focus on the prevention of genocide, or at the very least the short-term solutions that can be found to alleviate the suffering of the people targeted. As Adama Dieng, Special Adviser to the UN Secretary-General on the Prevention of Genocide, pointed out, the other side of this coin is the need to hold the perpetrators accountable post-genocide. Here the problem becomes intrinsically legal. Indeed, where preventing genocide is a matter of research and raising awareness, and countering its perpetration one of enforcement, the post-atrocity processes necessarily belong in the legal realm. One of the biggest contentions relating to genocide in the field of international politics today is who should bear the responsibility of putting those liable for crimes against humanity on the stand. This debate was embodied in the event as Hudson advocated the use of regional bodies while Dieng warned against drifting away from the International Criminal Court (ICC). The focus of the international narrative that both speakers hinted at has recently shifted. It now looks to the pros and cons of regionalization, partly due to what Hudson qualified as the “politicization” of the ICC. Indeed, the account of the Court today is one of disillusion with its presupposed independence from the UN, largely considered to be heavily influenced by the superpowers. Here, a possible long term solution could be to deal specifically with the ICC’s legitimacy gap through cooperation with international actors. However, Hudson’s purposeful mention of bodies such as the Inter-American Court for Human Rights seemingly identifies them as his envisioned alternative. Here Dieng gained steadiness in his defense of IGOs, pointing out that if they are given enough time, they can reform to better suit the wishes of the actors involved. Dieng did admit however that the UNSC failed when it came to Syria, mainly because of the Russian veto of several UN Security Council resolutions. He then brought up an interesting initiative that France proposed in September, one which advocates the striking of veto power for the P5 when it comes to mass atrocities. While great as an ideal, this would bring up serious issues if operationalized. Indeed, if the term “mass atrocity” becomes so politically charged as to potentially neutralize the veto power of the world’s superpowers, who is to say that political battles won’t start being fought over defining a conflict as one involving mass atrocities? The related terms would lose their human component at the expense of a politicized definition, culminating in the stark withdrawal of any genuine R2P concerns in exchange for yet another political struggle over who owns the power to shape the linguistic discourse of international intervention and involvement. In the end, while the event was incredibly interesting and included amazing people as panelists, it raised more questions than answers. The discussion of private-public linkages was good yet the restriction of private agency questions the applicability of the examples discussed. Furthermore, the current dispute over where to focus legal efforts between the international and regional levels hints at a division of funds and energy which is harmful when trying to regroup and carry out a concerted effort. Finally, the contentious implications of proposals such as the one made by France highlight the continued politicization of the international stage, making it incredibly unlikely that issues such as genocide and mass atrocities can one day become void of political meaning and be handled as what they are: crimes against humanity. As a concluding note, it is worthwhile to point out that while the Holocaust and the Rwandan genocide were discussed at length throughout the event, other instances such as the Cambodian and Armenian genocides were not even brought up once. This raises the question of whether there is a certain threshold necessary for a genocide to become part of the international discourse and start shaping mechanisms for protection and accountability.